The Frank Laboratory has several on-going and completed projects that study how urbanization affects tree health and tree pests. One of the most important findings from these projects is that impervious surface (pavement, parking lots, buildings) increases pest abundance and reduces overall tree health in cities. A previous project by Adam Dale and Elsa Youngsteadt found that the proportion of impervious surface surrounding red maple planting sites could be used as planting thresholds in Raleigh, NC – if there is too much impervious surface don’t plant a red maple there. A map showing the eight cities in our study. Since red maple is one of the most common street trees in the Southeast, we wanted to see if these thresholds could be applied across the region, or if red maples in different cities, with different climates, had different thresholds. 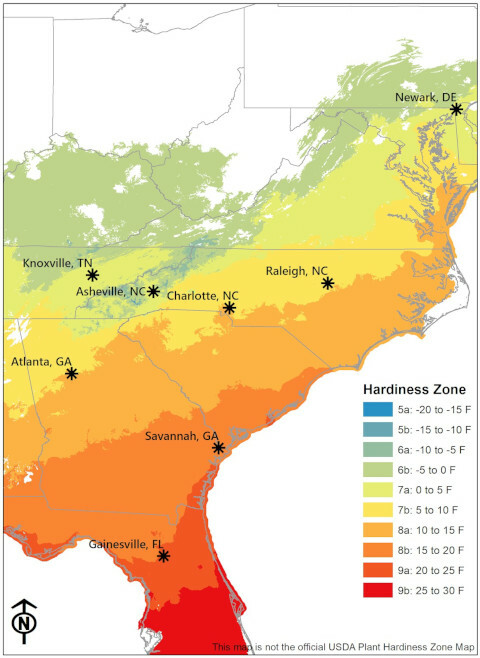 Street tree stress and pest abundance due to impervious surface is dependent on temperature, as such, we examined red maples in eight cities, from Newark, DE to Gainesville, FL, that varied in background temperature. We used the ‘Pace-to-Plant’ technique developed in the previous study to estimate the proportion of impervious surface surrounding each tree. Briefly, the technique just requires you to walk 100 steps and count the number of steps that occur on impervious surface. 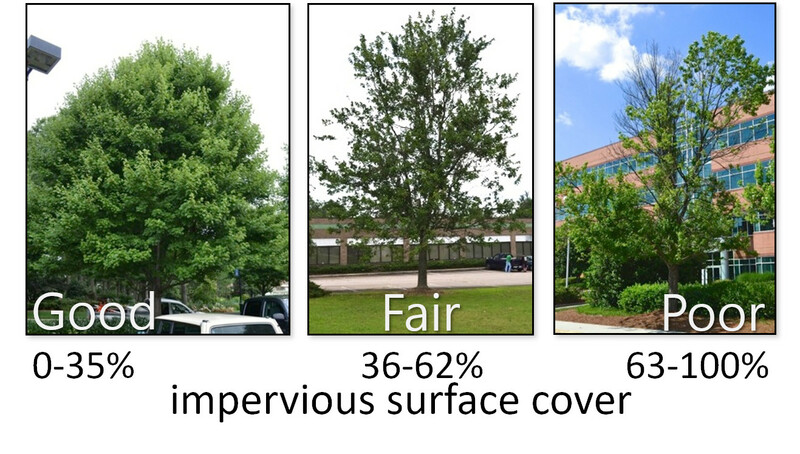 Like we observed in Raleigh, impervious surface was a good predictor of tree condition in these additional cities, so one set of thresholds can be used by tree care professionals across the Southeast. We found that red maples surrounded by less than 36% impervious surface (within a 20 m radius) were most likely to be in Good condition. Red maples were most likely to be in Fair condition at 36-62% impervious surface, and Poor condition at values at or above 63% impervious surface. We were excited to see that these impervious surface thresholds were applicable across the Southeast. This means that landscape planners and other tree care professionals across the region can use these thresholds to put red maples in the right place, the wrong places being those with too much impervious surface. 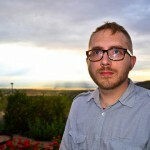 I am an applied ecologist and am generally interested in disturbance ecology. I am currently working on projects related to urban trees.